Calling all sweethearts! Valentine’s Day is right around the corner and Heidi Kenney, designer of all things cute and tasty, has created a chocolatey treat especially for you. 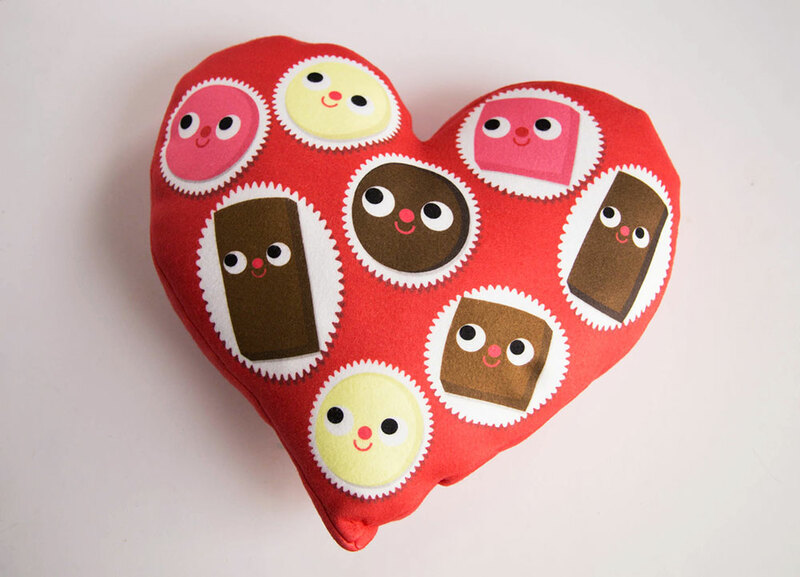 Using just a fat quarter of Fleece, Heidi’s Valentine Chocolate Box Pillow design is perfect for your best friend or partner in crime, your mom and even your one and only true love (yourself, included!). Our favorite thing is that this chocolate box won’t melt or go bad—it’s meant to last as long as love itself. 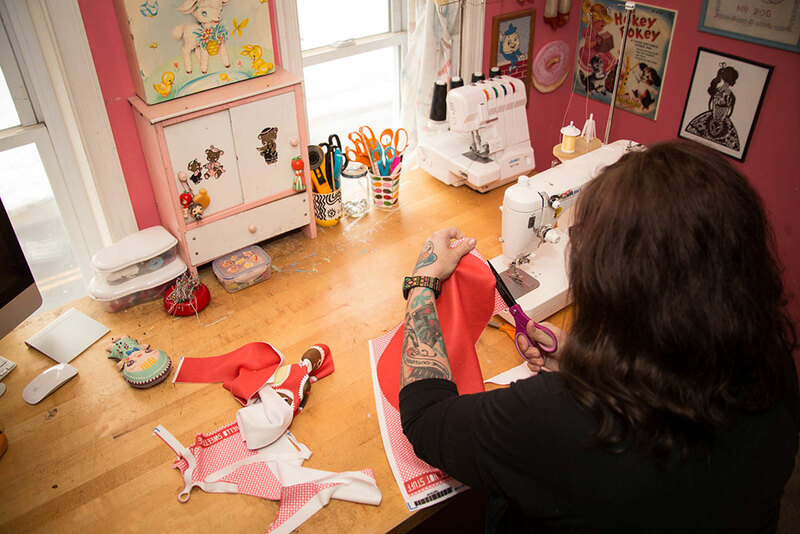 Follow along below with Heidi’s simple step-by-step tutorial and make your very own valentine plushie. Step One: Cut out both hearts and the long strip of red from your fleece fat quarter. While the merry Spoonflower crew is busy printing the fabrics you need to make your gifts, we're kicking off twelve days of giveaways to give you the chance to win gifts of your own this holiday season! Check back every day through December 12th to win beautiful fabrics designed by the Spoonflower community, some of our favorite sewing and crafting books, and a sprinkling of surprise gifts. On the first stop in our holiday gifting spree today, we're giving away a fat quarter bundle of holiday fabrics designed by artist and craft blogger Heidi Kenney, plus a copy of her book, Everyday's a Holiday: Year-Round Crafting with Kids. 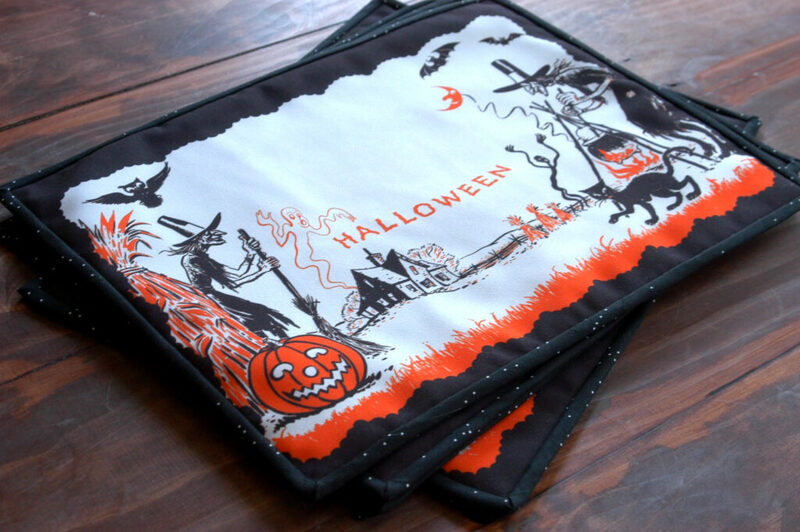 Comment on this post (or on the link on our Facebook page) to enter the drawing to win! THIS GIVEAWAY IS NOW CLOSED. 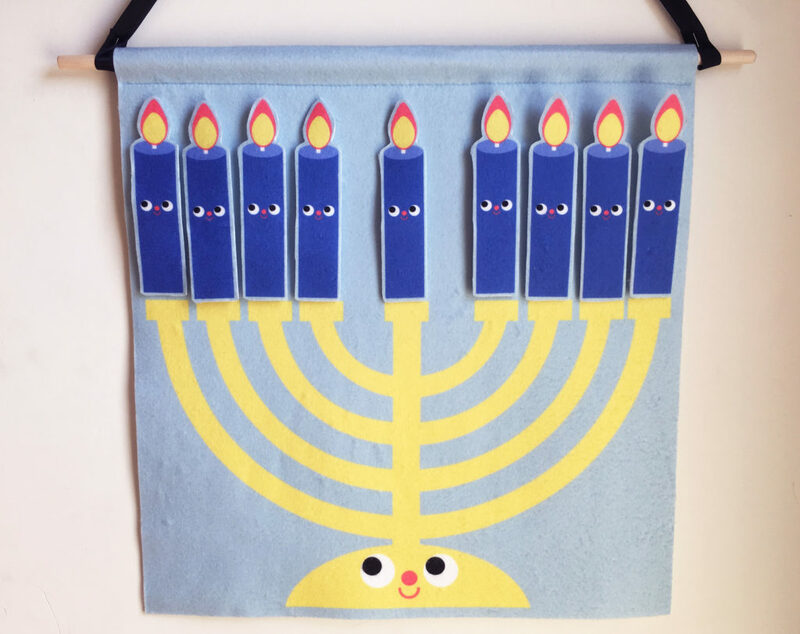 Congratulations to winner Irit Caspi– she'll receive a copy of Heidi's book and fat quarter bundle of Heidi's holiday fabrics. Many thanks to all who entered!